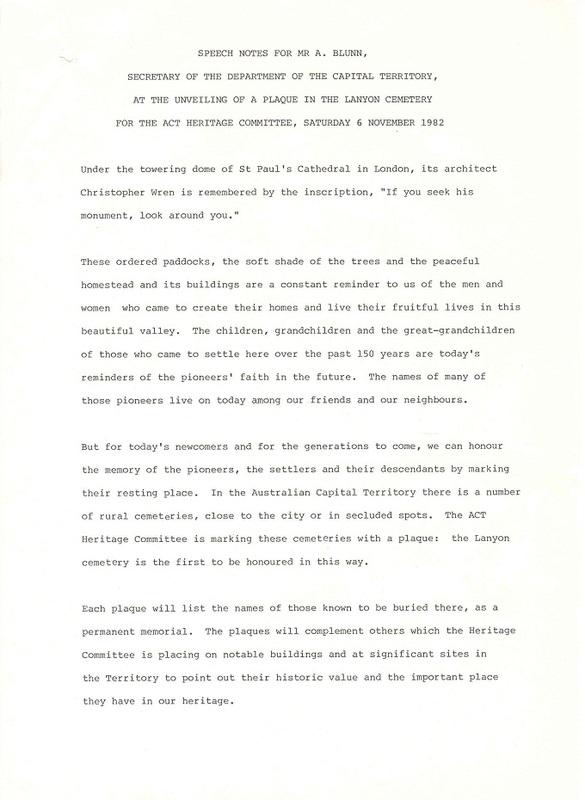 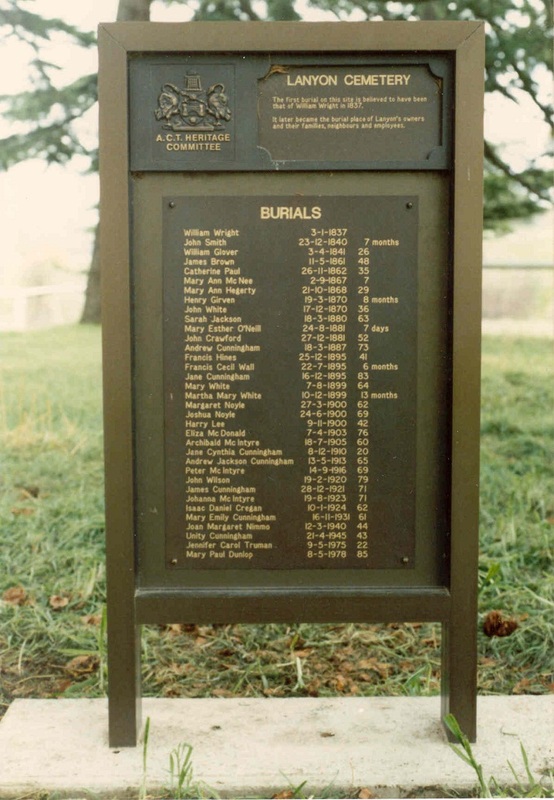 On Saturday the 6th of November 1982, a plaque commemorating those buried in Lanyon Cemetery was unveiled. 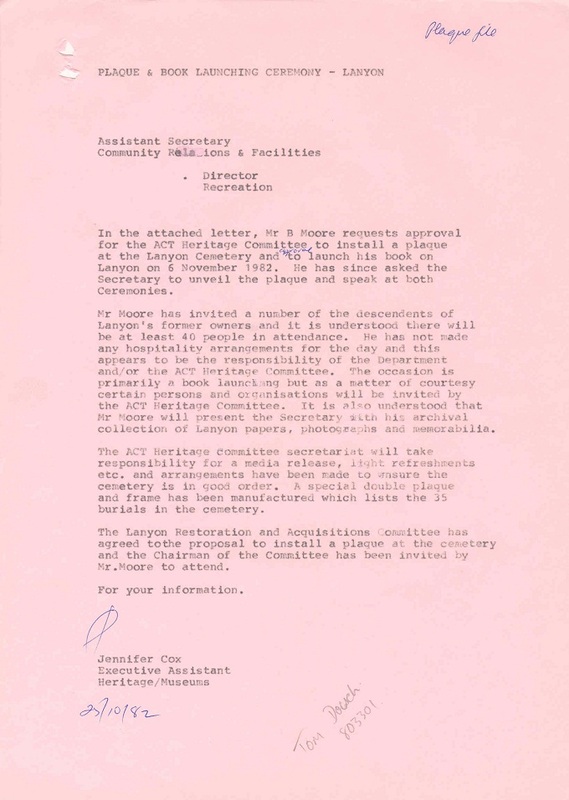 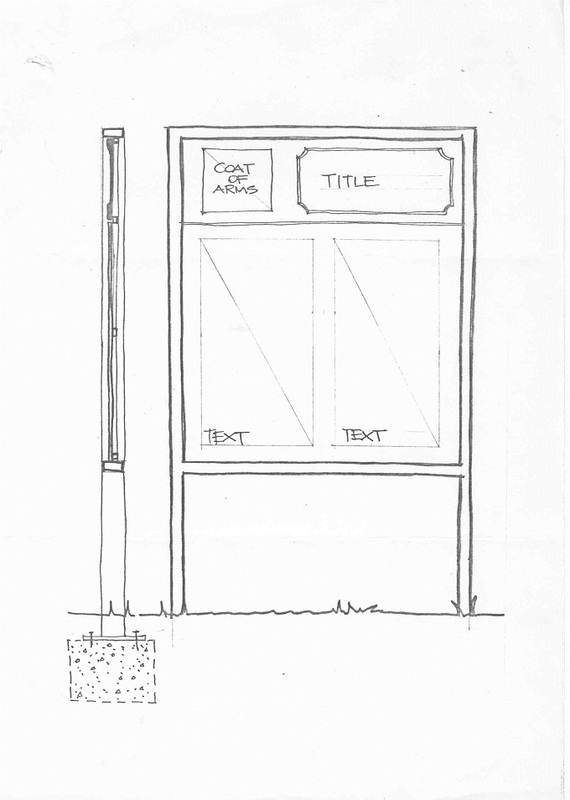 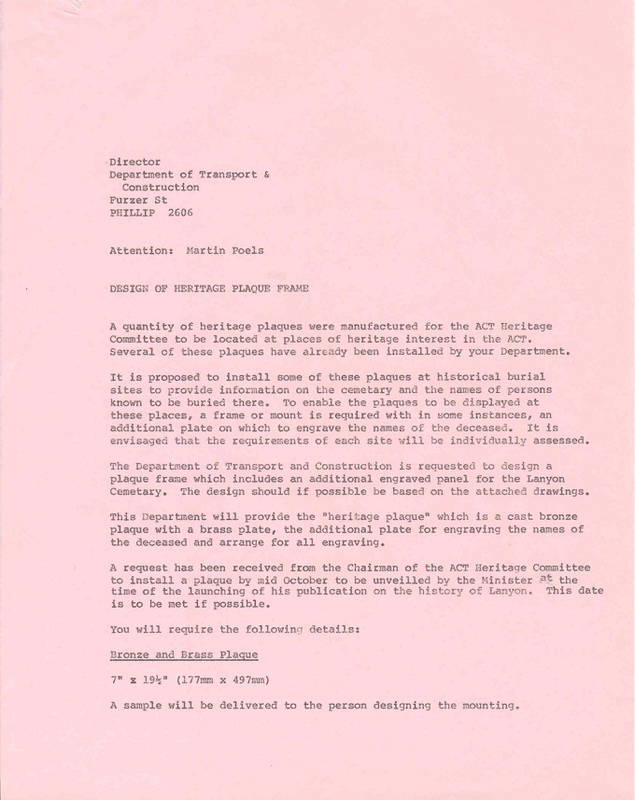 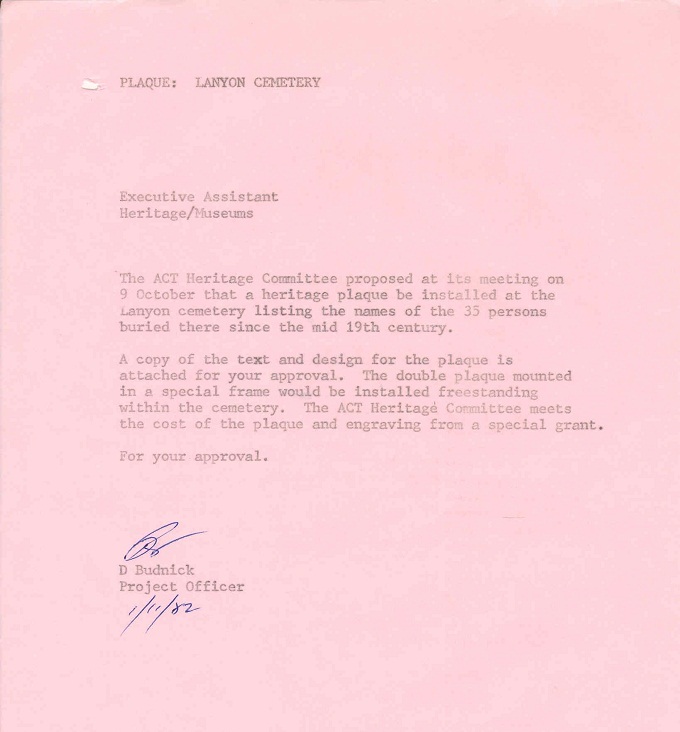 The file ‘82/4418 - Community Relations & Facilities Branch - Heritage Committee - Plaques for Historic Sites & Buildings’ documents the planning of this event. 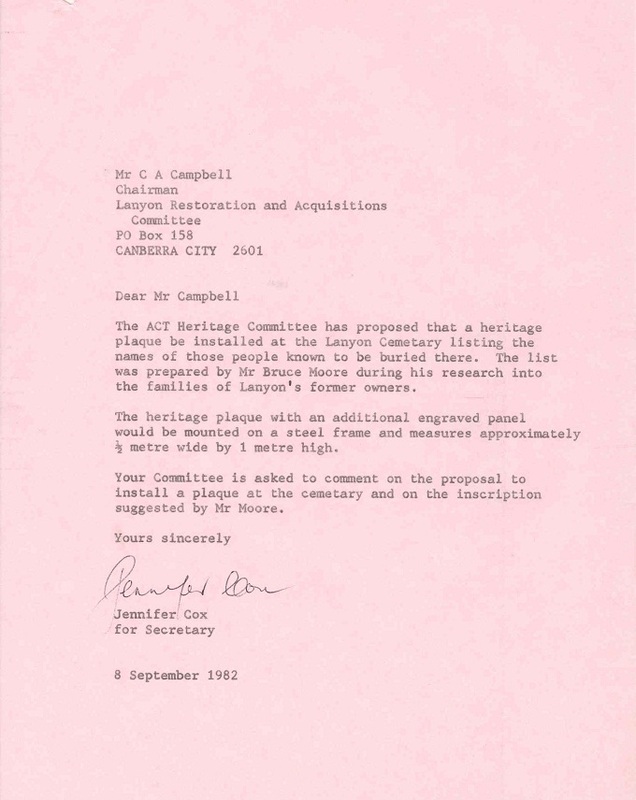 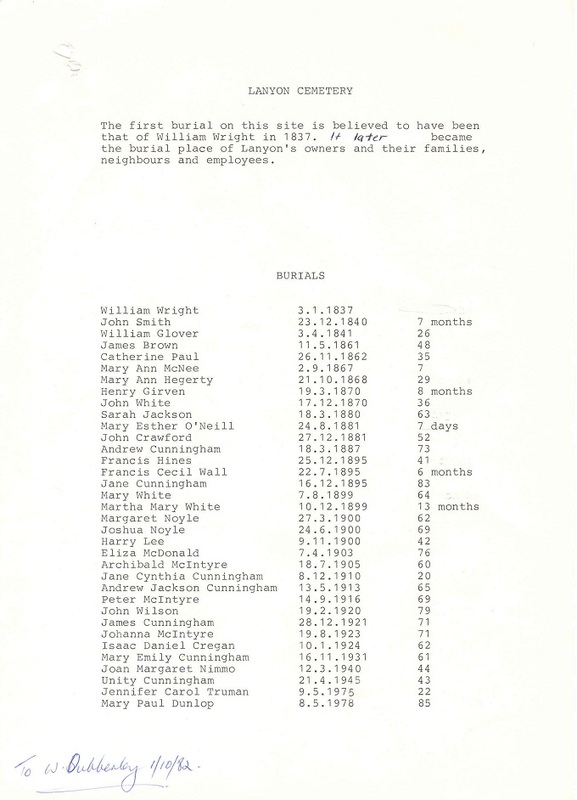 Based on the ACT Heritage Committee plaques that were first placed on historic Canberra sites during Heritage Week 1982, the Lanyon Cemetery plaque included a large panel listing all those buried there. 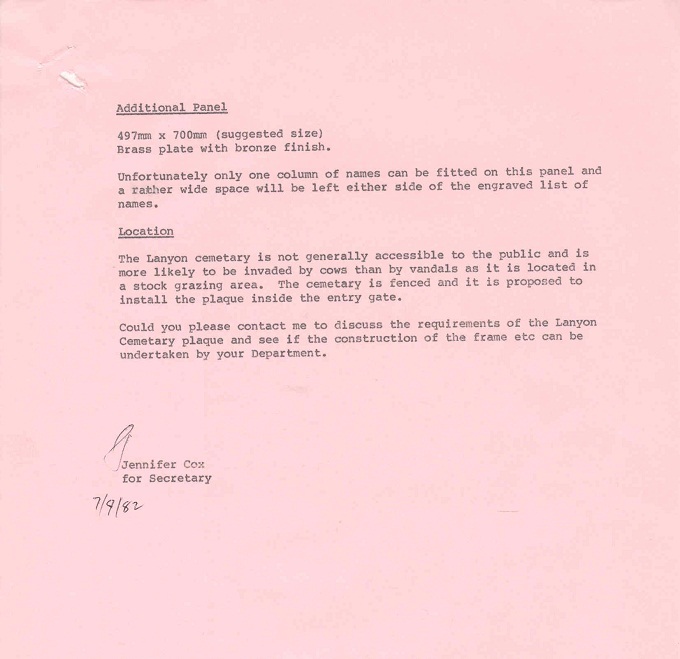 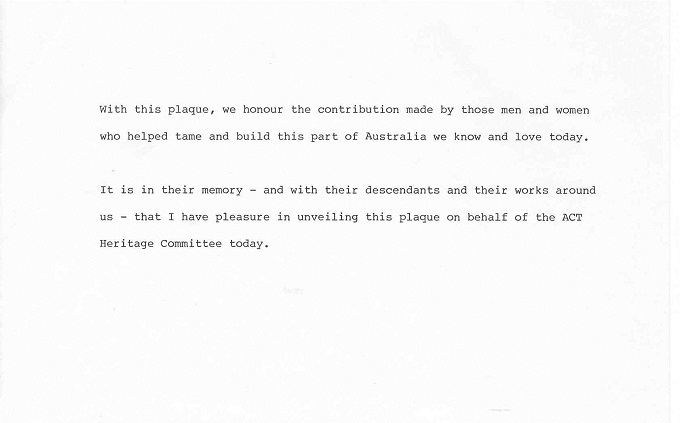 Below is departmental correspondence about the design and installation of the plaque. 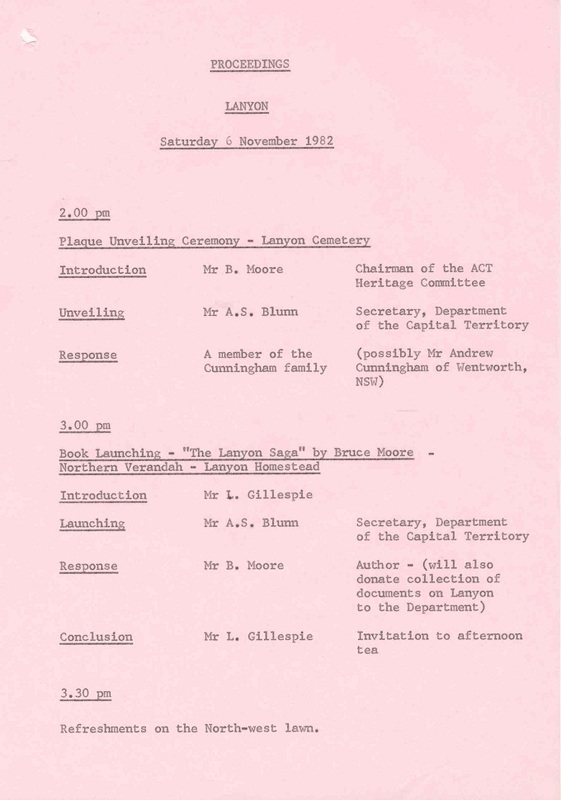 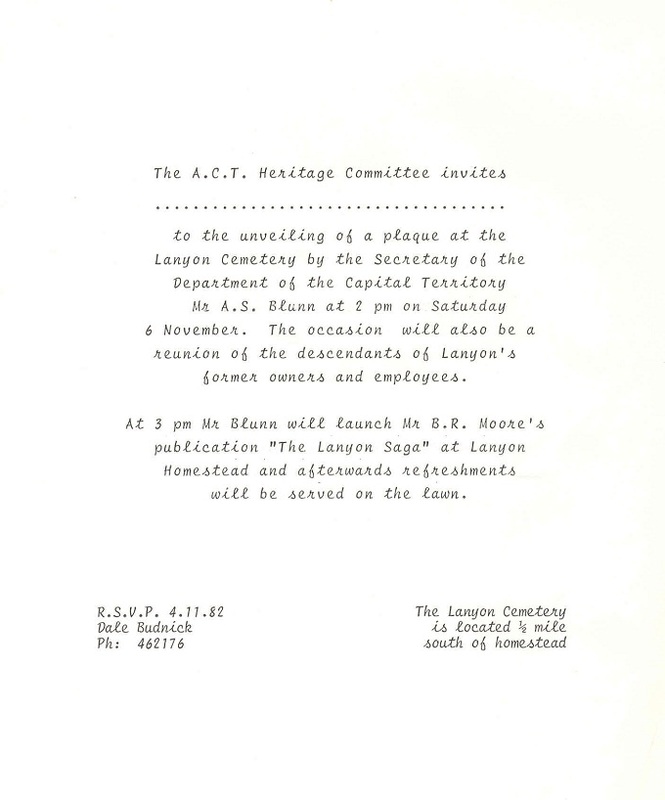 The invitation, proceedings and speech notes for the unveiling of the plaque.